Bill and Jeanne Fuller chose him. They came to an orphanage in Chelyabinsk, Russia, in 1996, and gazed at a blond toddler in a crib. 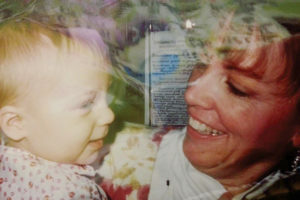 “I picked him up and he started laughing,” said Jeanne Fuller. And at that moment, Joseph Fuller won their hearts and found his forever family. 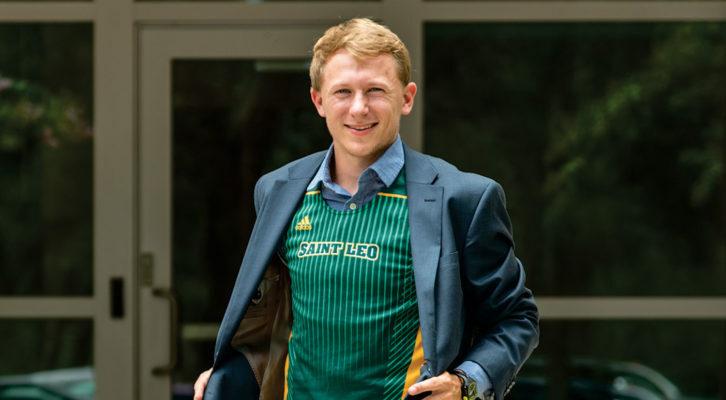 Joseph “Joe” Fuller, now 23, graduated from Saint Leo in April 2018 with a Bachelor of Arts degree in management. He secured a position in youth development service at Youth and Family Alternatives Inc.’s RAP House in New Port Richey, FL, where he works with children ages 10 to 17, who may be homeless, have school-related or family problems, or face other issues. For Fuller, his life has come full circle. The child who was helped is now helping others. “I can, without a doubt, say my life has been truly blessed,” he wrote in a blog. 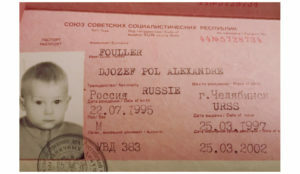 Joseph Fuller’s adoption/passport paperwork shows his new name in Russian. At one point, the Fullers were afraid they were not going to able to adopt Joseph. “Luckily, things loosened up,” Jeanne Fuller said. Jeanne Fuller delights in her new son Joseph. Faith played a big role in the family with the Fuller children attending Catholic elementary and high school. “When he got to high school, his faith grew,” Jeanne said of Joseph. 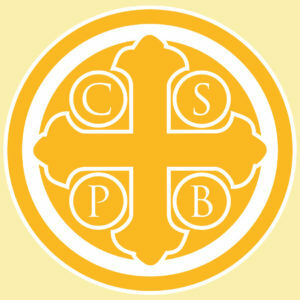 Now he attends St. Anne Byzantine Catholic Church in New Port Richey, an Eastern Catholic church. He is a third-degree Knight in the Knights of Columbus organization. When it came time to choose a college, Joseph Fuller said he was looking at 40 schools. “I cut them down by class size, rural vs. city, Catholic or public,” he said. And he chose Saint Leo. 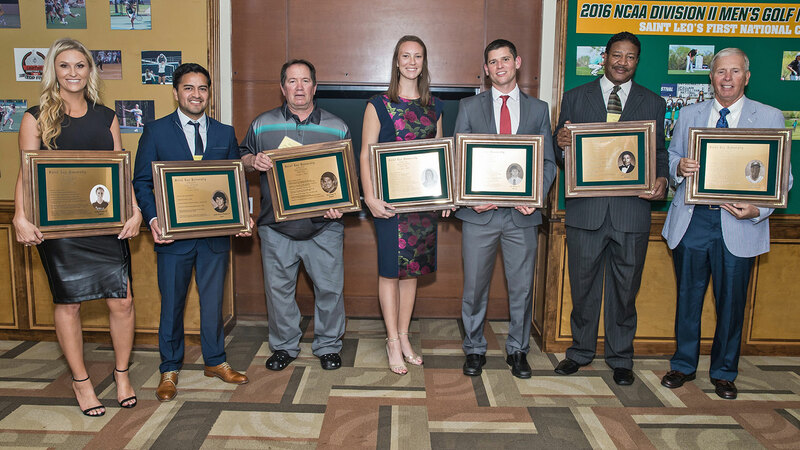 Fuller earned athletic scholarships and continued pursuing his passion of running, which he started in eighth-grade cross country. 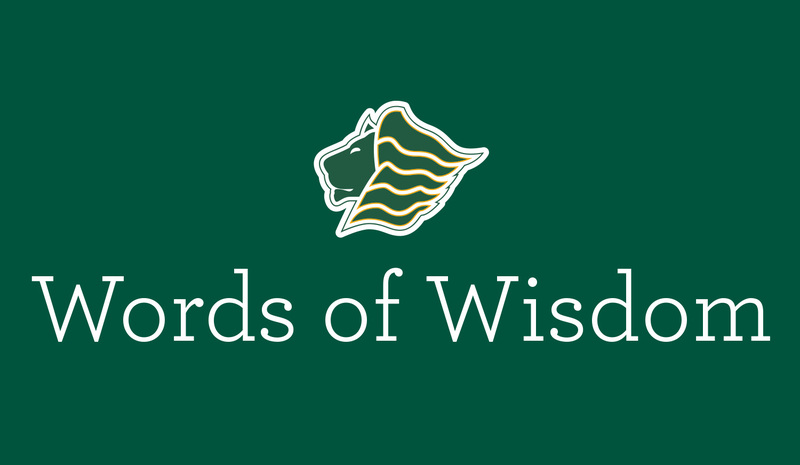 As a Lion, he qualified for the NCAA Cross Country National Championships three times and was a member of two Sunshine State Conference championship teams. With his teammates, he volunteered at the Gasparilla Distance Classic in Tampa, which enjoys a good reputation statewide. Now, he serves on the organizational committee for the Gasparilla races as well as organizing the smaller Rattlesnake Run for Pasco County’s Rattlesnake Festival and the RAP River Run in New Port Richey. When he turned 21, Fuller formed the I Play Track Foundation. The name comes from a Tweet in which someone asks, “What sport do you play?” The answer: I play track. Fuller had been donating his cross country and track spikes to children in need. “There were a lot of kids who had shoes in disrepair,” Fuller said. “I thought it would be nice to give back to the running community that got me through college. “On my 21st birthday, I grabbed my shoes and the shoes my sister had, and I kicked off the charity,” he said. Now, the I Play Track Foundation is awaiting 501(c)(3) tax-exempt charity status. Giving back to the community and those who have supported him is important to Fuller. Nearly 5,000 children were adopted during the National Adoption Day observance in 2017.
of 658 from the previous year. For more information, visit facebook.com/IPlayTrackFoundation or email iplaytrackfuller@icloud.com.